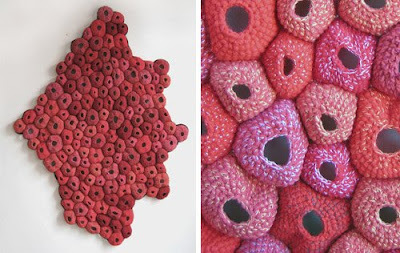 I am so envious of people who possess the talent to work with fibers. 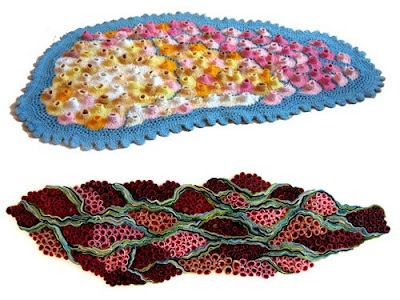 Emily Barletta is my current idol in the field, composing intricate crochet and embroidery pieces inspired by biology. 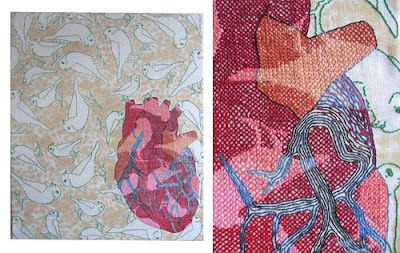 Due to a childhood incident - and all that followed - she is acutely aware of her body, which inspires her work.